The DoorBot is a cool way to stay secure in your own home; by bringing a live streaming view of your front doorstep to your mobile device, it lets you see exactly who is ringing your doorbell. The wireless system was developed by Edison Junior, a four-person design lab dedicated to solving everyday problems. 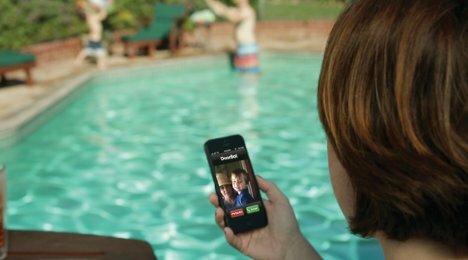 With a wi-fi enabled doorbell unit and a free app, the company has made it possible to answer the door remotely from anywhere in the world. 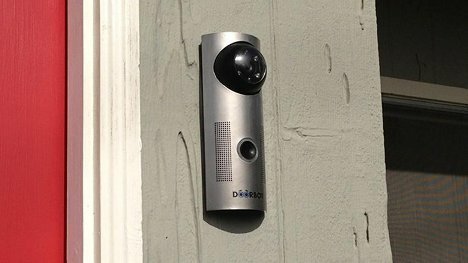 A doorbell unit with an integrated camera is the DoorBot’s claim to fame, and the way it revolutionizes the very simple act of answering a door. When a visitor pushes the button, the resident receives a notification on a synced mobile phone or tablet. The user can talk to the visitor via the mobile device’s microphone, which would be infinitely helpful when telling delivery people to leave a package on the stoop or informing friends to join the party in the back yard. An optional door lock also lets homeowners lock or unlock the door from anywhere in the world. The Lockitron is another product in the early stages of production that can be ordered – and easily integrated – with the DoorBot’s interface. With the two products working together, users can see who is at the door and decide whether or let them in…all without even being in the house. DoorBot is raising funds for its production run on a new crowdfunding site called Christie Street. $169 gets you the DoorBot while $319 is enough for both the DoorBot and the Lockitron.